Today is National Bagel Day! My nephew and I never need an excuse to eat bagels but we were happy to celebrate. I packed these for a day that we were out and about. My nephew requested my strawberry butter to go along with this meal. The first time I made it (years ago) my nephews were afraid to try it but once they did, they did not want to stop eating it! 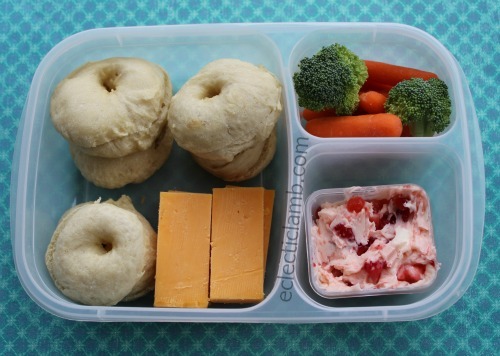 I made these broccoli and cheese bagels for myself since I don’t think anyone else in the family would try them. I liked it. 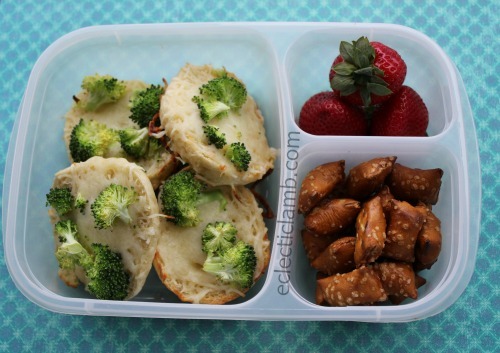 This entry was posted in Bento / Cute Food and tagged bagels, EasyLunchboxes. Bookmark the permalink.